them in a tight blanket of security. With more than 1,000 security personnel to take care of Afridi and Co., the hotel in which they are staying in Chandigarh has been sanitised for any kind of external threat. by which the players will be taken to the Mohali cricket stadium for practice has been kept a secret, as this is the Pakistan cricket team’s maiden India visit since the Mumbai attacks. The clash between India and Pakistan in the semi-final of the cricket ICC World Cup 2011 is the most awaited one, and migh come with some risks of terrorist activities. All necessary steps have been taken in this regard. For March 30, the stadium area has been made a no-flying zone, keeping in mind that high-profile dignitaries are expected to visit the stadium to witness the crucial encounter between the two teams vying for a place in the finals. Prime Minister Dr. Manmohan Singh will is likely to turn up to watch this cricket extravaganza. He has also invited his Pakistani counterpart Yusuf Raza Gilani and President Asif Ali Zardari to watch the game. The invitation has been accepted by Gilani but Zardari will not be coming. The black market for the tickets is supposedly doing roaring business. The tickets, which are originally for Rs. 250 are being sold for Rs. 2000, and the ticket that costs Rs. 2000 is being sold at the rate of Rs. 4000.
semi-final encounter. Hopes are riding high, and all that is left is to wait till Wednesday when the real battle on the field of cricket will begin. The Mohali stadium is all set to witness the top league game, and so are cricket-lovers on both sides of the border. This match is also likely to generate emotions on the field when players of both teams get into the thick of things and situations get tense. 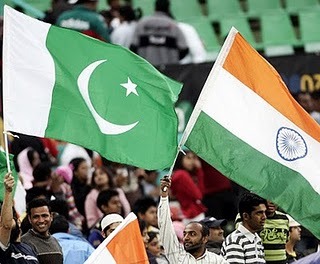 One hopes the India-Pakistan turns out to be the best match of World Cup 2011 – with a high dose of pressure and entertainment. May the best team win! Watch Live Cricket Match Now!